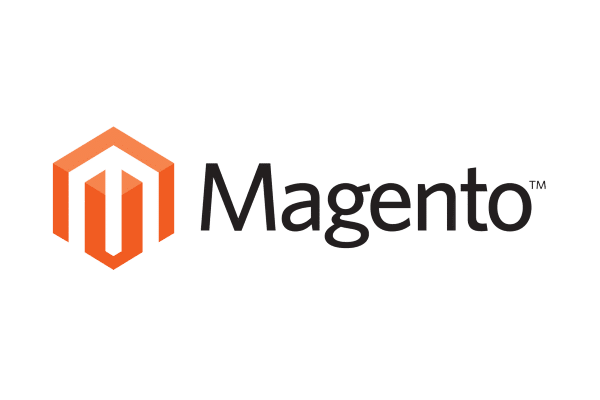 Magento is one of the world’s most popular open source ecommerce platforms, entrusted by both small and big names in the eCommerce business. Whether you have just started selling online or already are an established seller, Algopix can help you facilitate your product sourcing efforts and position you in a growing eCommerce market. The fact that Magento is Open Source is mainly exciting for developers and small businesses, but offers great advantages to everyone. Not only is the platform free to use, but also offers thousands of extensions that fit every need enabling its sellers to easily integrate with eBay’s or Amazon’s marketplaces. Opportunities to source successful products come and go, so you must make fast and informed decisions. Algopix can support you throughout your decision process by offering easy-to-read, yet valuable information about a product in 16 different marketplaces around the globe. This allows you to assess new and existing products supported by our Algopix recommendation but also assess new markets that might be interesting to your business or are taking up inventory as deadstock. When integrating your Magento shop with Amazon and/or eBay, you will have to pay the same fees for any item sold as if you sold it through the respective marketplace. Fees and expenses are not always clear and no one wants unaccounted costs that reduce their margins. For this purpose, Algopix’s detailed expense analysis can help you get a better idea of expenses of any form that will apply when selling a product – even PayPal fees, logistic fees, and taxes. Further, you can see what your estimated profit margin for said product is on all of our 16 supported marketplaces. This information allows you not only to set competitive prices, and calculate your expected profit, but also makes it easier to maintain a consistent image of your shop throughout all of your sales channels. Product demand level and expected margins are a solid foundation to form a qualified opinion on a product sourcing decision. What’s more intriguing for you is probably the actual market size of a product in terms of sales volume and gross merchandise volume. Calculating these two figures used to be tedious and took up lots of resources. Algopix’s new feature Sales Estimator offers you this information in the blink of an eye. And not for one marketplace, but for 16 different global marketplaces. This enables you to estimate your market size on multiple sales channels and helps you set metrics to achieve a certain market share. With demand level, expected profit, and market size in mind, all you need to know is what your competition is doing. While you can’t search all day for you competitors on Google, the competition on marketplaces can give you a rough idea about who you have to compete against. Algopix’s competition analysis offers a list of competitors enriched with important information, such as their respective sellers rating. You can then compare your business to your competitors, discover new niches with less competition, and position your business in the market. A solid market research is the foundation of success. However, people still need to find your Magento store online and make purchases. Since you don’t have a marketplace to rely on for customers, you need to drive traffic from different sources of the internet. On the one hand, you need to optimize your Magento store for search engines like Google and Bing. This will rank your website higher, when searching for your products and increase organic (unpaid) traffic. Another option is to use Magento’s extension to integrate with Amazon’s and eBay’s marketplaces, exposing you to millions of new customers. On the other hand, you can drive non-organic (paid) traffic to your Magento store with a targeted search engine marketing (SEM) campaign. For those campaigns you take part in an auction for a specific keyword for which you want to place an ad. When you win the auction, your ad will be displayed on top of the search page for this keyword. Every time a potential customer clicks you ad, a payment to the search engine is due. This cost-per-click (CPC) depends on the popularity of your keyword, the conversion rate, and bidding competition. One of the most popular SEM tools is Google AdWords, which allows you to bid for ads on Google’s search pages. Everyone who spent some time on Google AdWords knows that it is a world to itself. A good Google AdWords campaign is based on information like the CPC, how often a phrase has been searched for in the past, and much more. Algopix’s Google AdWords Insights offers the most important information in an easy-to-read interface. You are being provided a recommended search phrase, and number regarding the cost-per-click, and estimated cost-per-acquisition alongside with the bidding competition level, and average monthly searches. With this information right at your fingertips, setting up a solid AdWords strategy will be a breeze and allow you to increase sales significantly. Sourcing one product at a time is not the way to go in a fast paced environment like the eCommerce sector. This is why Algopix offers a bulk analysis feature, that enables you to analyze up to 200 products at once, taking your sourcing efforts to a new level.